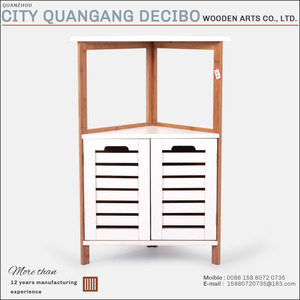 Quanzhou City Quangang Decibo Wooden Arts Co., Ltd.
Foshan SHKL Sanitary Ware Co., Ltd.
Hangzhou Blossom Import & Export Co., Ltd.
Hangzhou White PVC Corner Furniture Waterproof Bathroom Cabinet 1.15mm PVC board door panel, 12mm cabinet carcase 2.same basin as model BLS-16037 3.4mm silver mirror with side cabinet 4.lacquer finish 5.one door and two drawers SOFTCLOSE Features: 1. Easy to clean and maintain 2. Heat-resistant, heavy durability, tough and rigid with high impact strength 3. Various sizes, color and size 4. Environmental protection material 5. 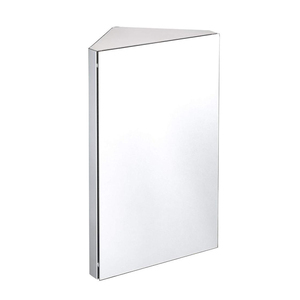 Non-corrosive, non-toxic and chemical resistant 6. high quality with competitive price : A long side cabinet bathroom corner cabinet /BLS-16036 Model BLS-16037 Size 700*480mm,800*480 Material an d Option 15mm PVC board door panel 12mm cabinet carcase ceramic basin 4mm silver mirror with side cabinet lacquer finish two doors a long side cabinet Features easy to clean and maintain heat-resistant, heavy durability various sizes, color and size environmental protection material high quality with competitive price MOQ one full container with at least 10 sets each model. Sample order acceptable Port Ningbo/Shanghai Supply Ability 5000 sets per month Package Export standard packing: Bubble film around bathtub , put accessories with foam in the carton, EPE foam board to protect tub, strengthen export carton and wooden crate to avoid bathtub damage. Delivery Samples: negotiable 25 days after confirming deposit(1*20'GP) 30 days after confirming deposit(1*40'HQ) 35 days after confirming deposit(2*40'HQ) Payment 1. deposit in advance, Balance paid by B/L copy 2.L/C:Irrevocable L/C at sight Special cases for special payment terms are available We are leading professional manufacturer focus on small waterproof plastic pvc bathroom cabinet ,pls feel free to send us inquiries. Hangzhou Bestcraft Sanitary Equipments Co., Ltd.
Q: How many employees are in the line of business9 A:Totally, 70 people; 5 of which focus on business with foreign clients and more than 60 people are in the production line. Q: What countries do you mainly export to9 A:Our products 90% exported, the mainly markets such as America, Canada, Australia, South America, Brazil, Korea, India, UK, Italy. Q: What are main products does your company offer by yourself9 A:We are Specialize in Glass vessel sink, glass counter basin, glass counter top, Bathroom Vanity and Hotel Fruit Plate. Foshan Aqua Gallery Co., Ltd. Concerned about your health, give you the perfect experience of life, is the relentless pursuit of state di design. 2. Can we use our own shipping agent9 Of course, we will do the best to cooperate. you can offer us a "logo usage authorization letter" to allow us to print the logo on the products. 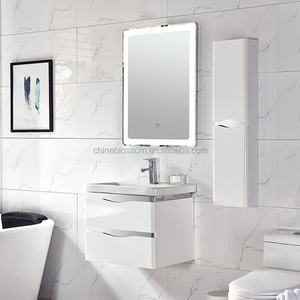 Foshan Dexus Sanitary Ware Co., Ltd.
3.We are the top 10 of the biggest suppliers of sanitary ware in Alibaba. 2. Let you know the process from production to loading for your order. 3. We are care about the case of the goods when you received and try our best to solve the problem. Foshan Shunde Bangdian Sanitary Industry Co., Ltd.
Foshan Rongfu Medical Equipment Co., Ltd.
Fuzhou Riches Home & Garden Co., Ltd.
Hangzhou Godeson Instrument Co., Ltd.
Hangzhou Weimeide Industrial Co., Ltd.
5. Concerning the breakable bathroom cabinet hardware and accessories, they are going to be separately placed in the carton. 8. When regular strong seaworthy packing is done, cartons will be unloaded onto the warehouse waiting for shipment. With its European quality and cost advantages, OPPEIN products are gaining more and more popularity in overseas market. 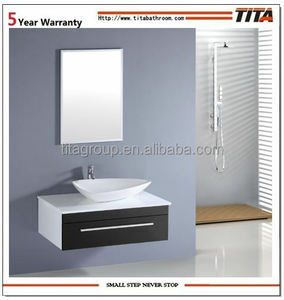 Zhejiang Weiding Sanitary Ware Co., Ltd.
Alibaba.com offers 5,929 bathroom corner cabinet products. 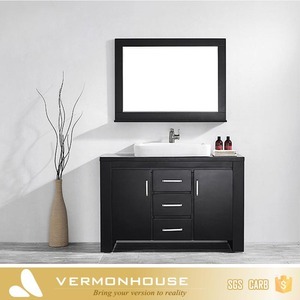 About 60% of these are bathroom vanities, 4% are living room cabinets, and 1% are kitchen storage. 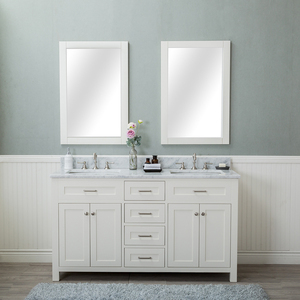 A wide variety of bathroom corner cabinet options are available to you, such as stainless steel, plywood, and solid wood. You can also choose from modern, classic. As well as from lacquer, pvc membrane. 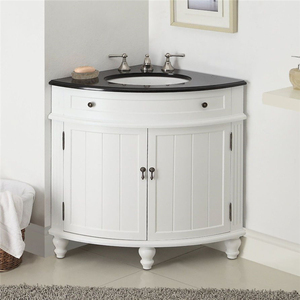 And whether bathroom corner cabinet is artificial marble, resin, or ceramic. 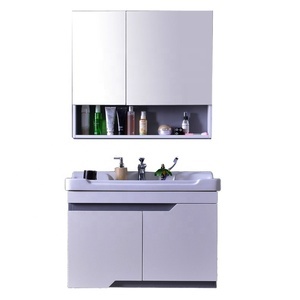 There are 5,863 bathroom corner cabinet suppliers, mainly located in Asia. The top supplying countries are China (Mainland), India, and Hong Kong, which supply 98%, 1%, and 1% of bathroom corner cabinet respectively. 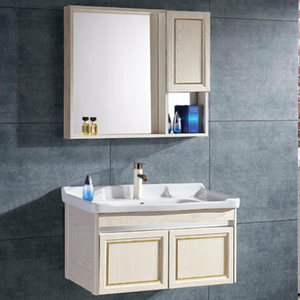 Bathroom corner cabinet products are most popular in North America, Western Europe, and Mid East. You can ensure product safety by selecting from certified suppliers, including 1,277 with ISO9001, 638 with Other, and 466 with ISO14001 certification.